Great name for a book. And that's just what Annie Hauck-Lawson and Jonathan Deutsch have called their new tome, all about food and New York City, published by Columbia University Press. 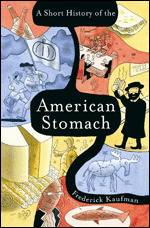 American Stomach gave the book a blurb, and the co-editors returned the favor today, in their New York Times City Room blog . . . 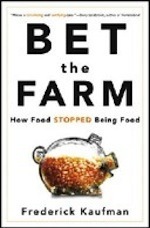 The Big Event this past weekend in the New York food world has been the book tour of Ferran Adria, of el bulli fame. 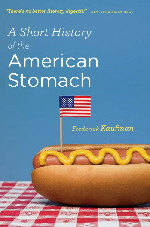 His appearance at the New York Public Library (to a packed audience) was particularly interesting, as he repeatedly refused to respond to any question that Atlantic Monthly food critic Corby Kummer put to him. 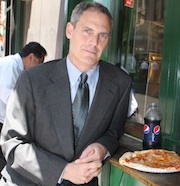 Bill Buford, New Yorker staff writer, made the introductions, and audience luminaries included NYU food scholar Krishnendu Ray and a raft of publicists from various publishing houses. Adam Gopnik had a chair right up front, with his name taped to the back, but did not show . . . When I broke the Food Network gastroporn story a few years back, many readers were shocked, shocked, shocked. How could I have such a twisted mind? Well, proof is in the corn.